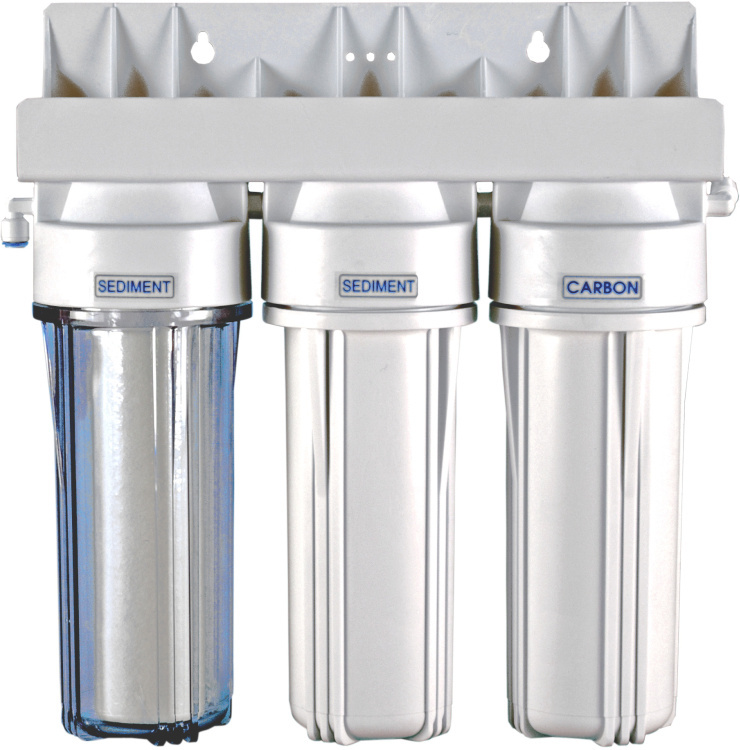 3 stage filtration system designed for tap water. Contains polypropylene sediment filter 20 mic - removes pollutions such as: sand, mud, sludge of size greater than 20 mic, polypropylene sediment filter 5 mic - removes pollutions such as: silt, rust, of size greater than 5 mic and activated carbon filter - removes chlorine and many organic and inorganic compounds. System contains all the accessories you need to install and use a filter such as: a set of cartridges, faucet for the purified water and assembling kit.